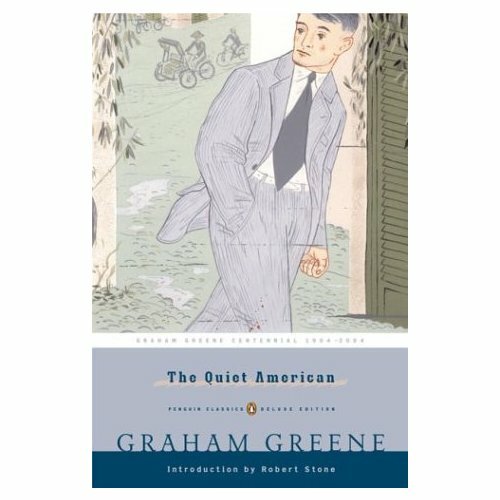 "I never knew a man who had better motives for all the trouble he caused," Graham Greene&apos;s narrator Fowler remarks of Alden Pyle, the eponymous "Quiet American" of what is perhaps the most controversial novel of his career. Pyle is the brash young idealist sent out by Washington on a mysterious mission to Saigon, where the French Army struggles against the Vietminh guerrillas. As young Pyle&apos;s well-intentioned policies blunder into bloodshed, Fowler, a seasoned and cynical British reporter, finds it impossible to stand safely aside as an observer. But Fowler&apos;s motives for intervening are suspect, both to the police and himself, for Pyle has stolen Fowler&apos;s beautiful Vietnamese mistress.